It’s NOT necessary to feel intimidated by technology! that effectively represents you, your brand and your message. with your business website quickly & easily. Stop pulling your hair about and feeling intimated, frustrated and overwhelmed about how and where to get started with your business website. Find a solution, between throwing in the towel and hiring a web designer, that provides real results. Learn the simple process (that takes less than 5 minutes) to connect your domain with your hosting since you bought them in 2 different places (video tutorial). Additional instructions in case you need to add on a domain for an existing account. 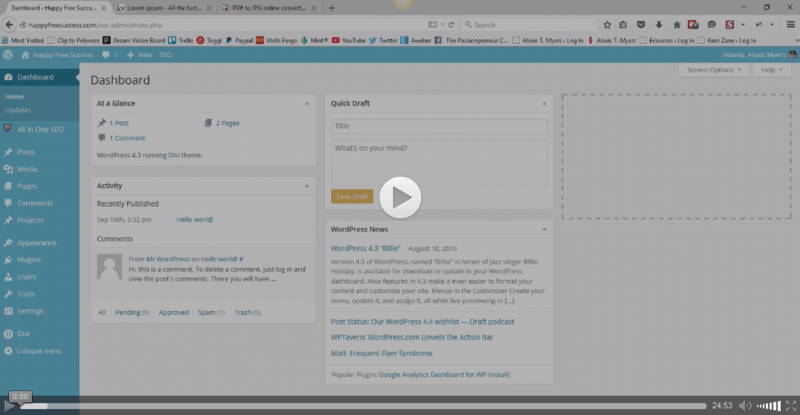 Learn how to install WordPress (again in less than 5 minutes) so you have a working website with the click of a button (video tutorial). Get an overview of the WordPress core features including pages, posts, media, widgets, plugins, and more. Get started using your site immediately with essential instructions for configuring your plugins, users, general settings, importing/transferring your content from your old site, and comments. Eliminate the search for the perfect theme and learn to customize your site using Divi. It’s a drag and drop, super flexible premium theme that makes web design EASY so you can display your authentic personality and brand, and add any function or feature you’d like. Downloadable PDFs and Evergreen Video Tutorials – that you can read and watch again & again whenever you need a refresher. Easy 1-2-3 Website Setup Instructions – from buying a domain name to launching your site with confidence. A Self-Paced Structure + Instant Access – so you can get exactly what you need when you need it no matter where you are in the learning process. This also allows you to work around your own schedule. Having the tools, guidance and resources to get your site up within DAYS and designed within WEEKS. 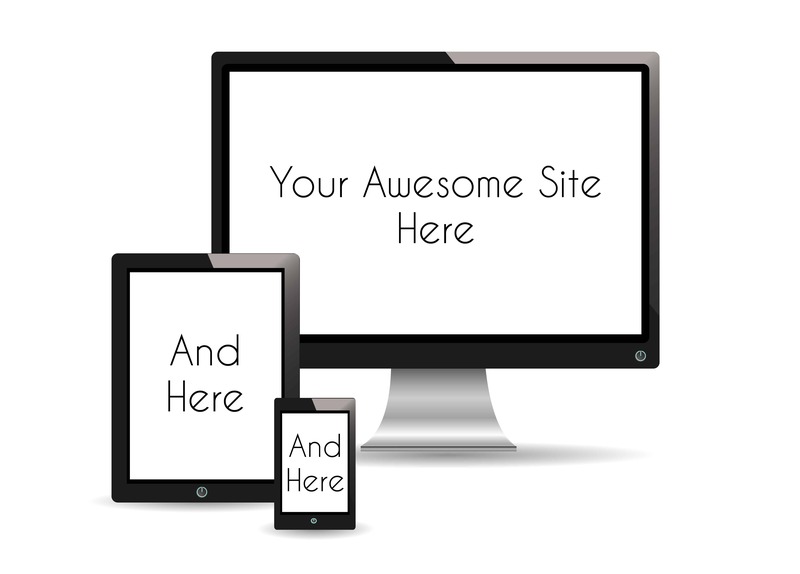 Having a website you’re proud to show prospective clients & customers, colleagues, family and friends. Having a 24/7 digital salesman and online business storefront that continuously works for you around the clock. Reaching people all over the world with your message and offerings. 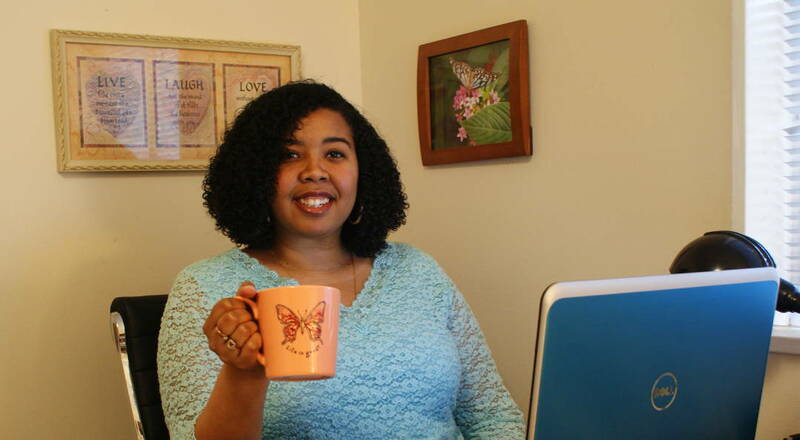 I would easily recommend her to anyone wanting to learn how to build their own website. “Before finding the Biz Website Quick Start Guide I needed a website and couldn’t afford the prices I was being quoted. After taking the course, I was able to create a website that I really like and one which looks professional at a really great cost. I’m adamant about teaching how to do things easily and affordably, so that you don’t have to suffer from overwhelm or break the bank just to get started with your business website. I’m passionate about people SHOWING UP in the world to do what they were meant to do and live the lives they were meant to live. For many of us, this includes online business and what I like to call Passionpreneurship. The technical and strategic aspects of these ventures should NOT hold us back from making a difference and achieving greatness. This is why I’m also passionate about MAKING TECHNOLOGY DOABLE, so that we can remove the blocks that may be holding you back from doing your important work in the world. I created this quick start guide for this very reason, to make building your website as quick, easy and achievable as possible for all those who really want it and are willing to do what it takes to get it. This all depends on your current situation. I typically say you can have your site complete within 2 – 4 weeks. I have designed the training so that you are learning WHILE doing, so it shouldn’t take much more additional time to learn what you need and actually do it as well. If you’re starting from scratch, you can have your domain & hosting setup and WordPress installed in literally 2 days (only because it takes 24 hours for your domain to properly connect to your hosting on the back end after you spend less than 5 minutes taking simple steps to connect them). If you’re transferring your domain name from Godaddy to Namecheap (my recommended resource), the back end process may take a few hours on Godaddy’s end, after you’ve followed some simple steps that only take you a few minutes (so all of this can be completed within the same day). If you’re transferring your domain name from Wix, the transfer process takes 6 days on Wix’s end. After that 6 days you can move forward seamlessly with the rest of the quick and easy steps. Once you’ve taken care of your domain, hosting and installing WordPress, adding design and content to your site is all up to you as far as how long it takes. I have provided a tutorial that will help you get started customizing quickly, but the design process is definitely a per person deal when it comes to your finished product. I have had students complete their sites and be happy with the finished result within 2 – 4 weeks. I have broken things down to make them as easy as possible, so you can really understand what you need to do. I’ve also directed you to additional training tutorials so you can get a full understanding of how to use things so you don’t feel confused or overwhelmed. Between the video tutorials and the written training I provide, I literally spell out every step you need to take to make things super easy. I’ve had clients who are NOT techie at all and new to building their own websites who found using Divi and building their sites easy with my training. 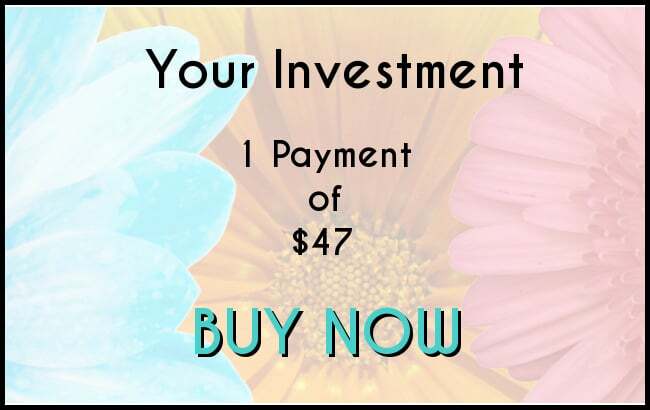 Your course is only $47, but will I need to invest in other resources to get started? I’m glad you asked. And the answer is yes. When creating your business website it’s important that you buy your own domain and hosting, so there will be costs included in that. And you’ll be happy to know, it’s FREE to install WordPress on your site once you’ve purchased your hosting account. As far as the theme for your site, although I promote doing things free when possible, themes are an exception. Free themes tend to lack flexibility when it comes to customization. They also lack in offering support to help you navigate, tweak and troubleshoot your theme when needed. For these reasons I always recommend using premium (paid) themes for your business website. It’s the most professional and beneficial way to go. And in this training I highly recommend and teach the theme that makes web design easy and gives you incredible flexibility for customization and fascinating design. Here are the specifics on costs…. A domain name with Namecheap.com costs $10.87 per year (you’ll get free protection your first year and when you renew in following years your total will be $13.75, which includes continued protection). A hosting account with Hostgator.com costs $11.95 per month for the plan that I recommend, which includes everything you need. An Elegant Themes account so you can access the Divi theme that I teach for website customization costs $69 per year at their lowest option. I already have some basic knowledge of WordPress, but I want to build a new website. Will I really be able to do it on my own since it is a mini e-course? Great question. I think where you would benefit the most is with using the Divi theme that I recommend in the course. It really allows you to build the website you’re wanting to build and give you all of the features and functions you may be wanting. Directly below my recommendation of Divi in the course, there is extensive training that shows you how to actually get started customizing your site with Divi. In the section named “Tips & Tricks for Website Customization” I have created a video tutorial showing an example of how to put a homepage together, insert a logo, put pages in your menu bar, set your blog page up, put things in your sidebar, etc. I take you through how to do all of those things in that video tutorial. There’s also additional written training to help you customize things even more. So with all of that, I think you can definitely get a good handle on designing your website beautifully. What if I already bought my domain and hosting somewhere other than your recommended resources? If you already have your domain and hosting and you’re looking to install WordPress and start building your site, as long as your hosting has a Control Panel (aka Cpanel), your hosting account should look similar to what I have in the tutorials so you should still be able to follow along with how to install WordPress. If things look too different or are located in a different place, or even called something different, you can always watch my tutorial and then contact your hosting support for help with finding how and where to install WordPress. If you’ve already installed WordPress and are looking to get started designing a beautiful new site, you can skip to the “Tips & Tricks for your new WordPress Site” section of the training, or even skip to the “Intro to Elegant Themes & Divi” section to get started right away installing your new theme and designing your site. Have a question that wasn’t answered here? Email me at [email protected] I’m happy to help!